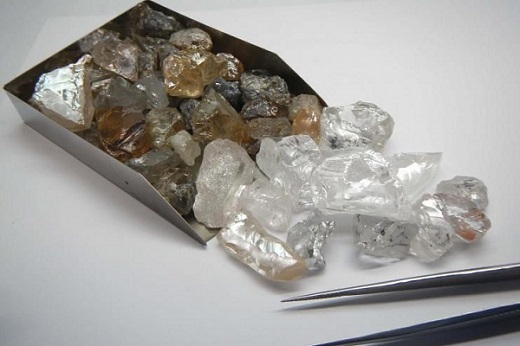 RAPAPORT... Lucapa Diamond Company garnered $2 million at its July sale of diamonds from the Lulo mine in Angola, it said Tuesday. The miner sold 2,527 carats of alluvial rough at the tender, fetching an average price of $800 per carat. The sale excluded four large, type IIa white stones weighing 43 carats, 70 carats, 75 carats and 114 carats, as well as a 46-carat colored stone. Lucapa will sell those at a tender later this year. The miner will also hold its first sale of diamonds from its Mothae mine in Lesotho in the fourth quarter, offering goods from its bulk-sampling program. Other than Lulo and Mothae, Lucapa is carrying out exploration at the Brooking lamproite project in Western Australia, as well as the Orapa Area F project in Botswana.